We are only a few weeks into summer and the mercury is rising fast. It’s the busiest time of year at WeatherWorld and we have a large number of calls for repairs for customers that are rushing in to cool their home. At WeatherWorld, we’re the experts when it comes to cooling your home, no matter how large or small, apartments or mansions. Let’s go through some of the excellent options that will keep you and your family cool all summer long. 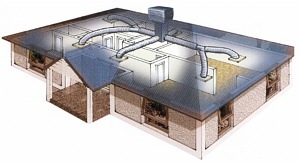 If you’re in a large family home, a ducted cooling system has a few great features. 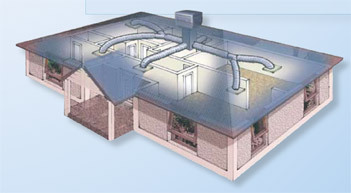 Ducted cooling lets you control the temperature in each room of your home, so you can just cool the living areas during the day and bedrooms at night. It’s far more economical to just cool the rooms you use. An air conditioning unit will cool the entire spare fairly quickly, so if you’ve got great insulation in your home, a unit will do an excellent job. Air conditioning units can be portable as well, so if you rent or move around a lot, then a portable evaporative cooling unit will suit your needs perfectly. Evaporative and Refrigerated cooling work in very different ways. Evaporative will cool the air through the evaporation of water, while refrigerated cooling uses a refrigerant that is compressed. When the refrigerant is compressed it cools the air around it, which can be used for controlling the temperature in your home. Both make excellent forms of cooling for ducted cooling systems, so talk to your WeatherWorld expert today about which option best suits your family needs.